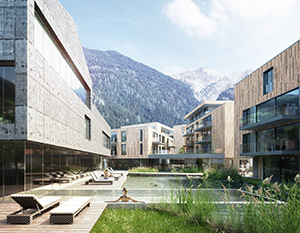 Kristall Spaces is in the construction phase for All-Suite Resort Ötztal: 56 new luxury apartments for sale in charming Oetz, a dual season resort with strong winter and summer business. 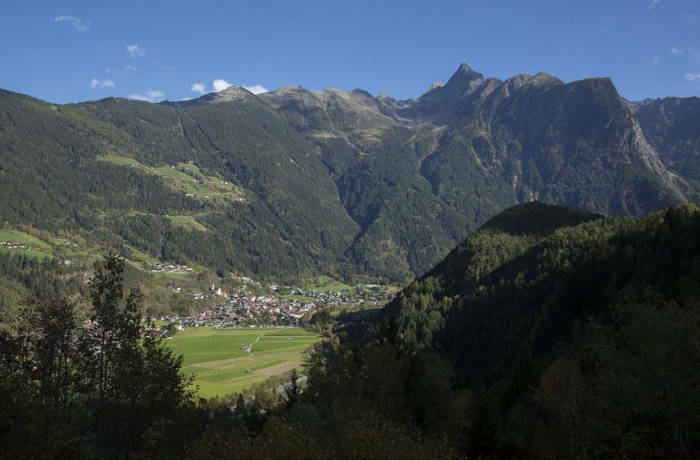 Oetz sits at the bottom of the Ötztal valley and is just 25 minutes from Sölden (and its 2 glaciers) and 40 minutes from Obergurgl. 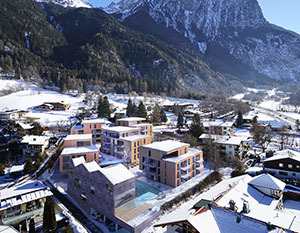 Some of the best returns in Austria: 8% return on capital invested when taking out a 60% mortgage or a guaranteed 4% return on net purchase price for first 5 years. 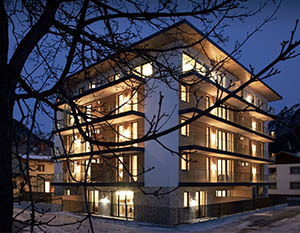 There is still excellent availability and choice of apartments: 25 luxury apartments are still available. 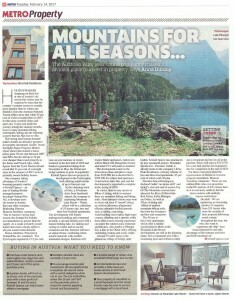 Here are some recommended views from 1, 2 and 3-bedroom apartments – please click the links. Please note the photos were taken in the afternoon at around 1530. 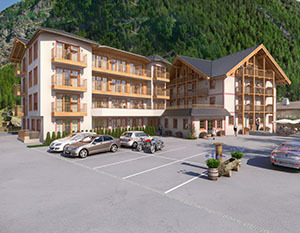 Please Contact us for more suggestions or to book a viewing if you are visiting Tirol over the holidays. 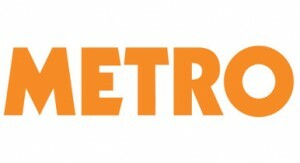 A range of restaurants, bars and shops are a very short walk from the apartments. The supermarket is even closer. Also, within a few minutes is a children’s playground and open-air swimming pool as well as 3 tennis courts. 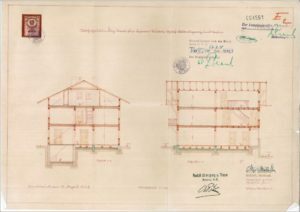 The architect’s brief was to use natural and recyclable materials and to ensure the buildings fit with the surrounding landscape and neighbouring buildings. 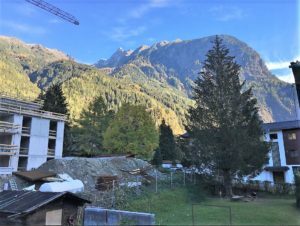 The process has involved many meetings with the local council and Tirol planners who are keen to protect the essence of the ancient community here but at the same time breathe new life into the valley. 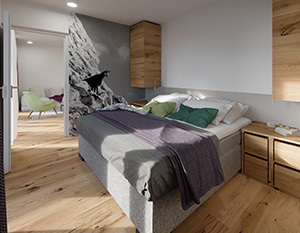 We specifically wanted to look to the future of Alpine living and design the most superior, contemporary apartments in the valley. Also, Oetz has warm summers (as high as 35-degrees C) and so a different style of architecture lends itself well to the locale: one that allows the building to stay cool on hot days. 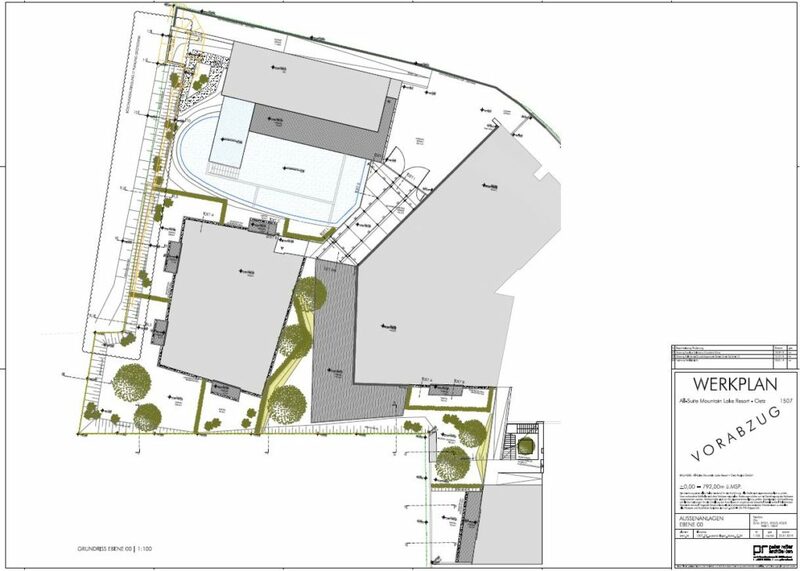 The buildings will sit elegantly in a communal orchard garden sown with wildflowers and the natural bathing lake. Altogether, a setting worthy of this awe-inspiring backdrop with stunning 360° views. 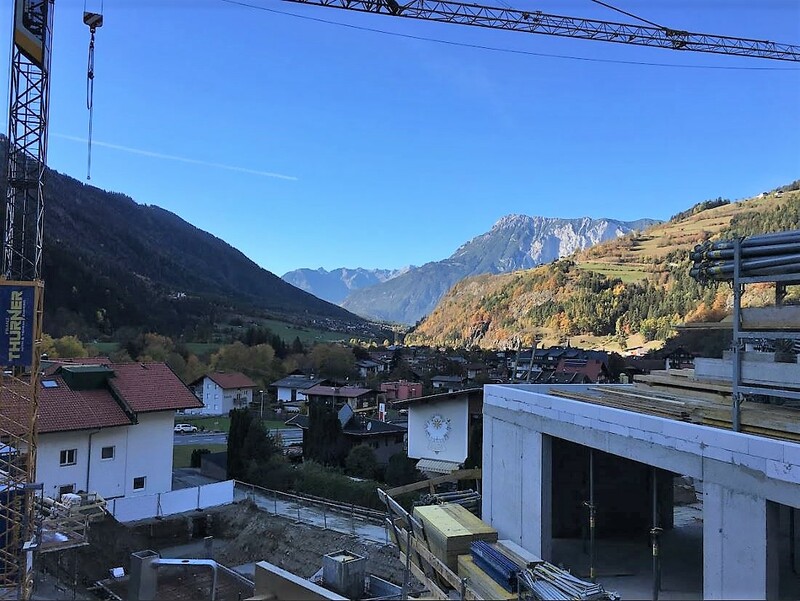 They chose this exact location for their Landhaus because it has the best views in the whole valley – the North West view is the most famous view! 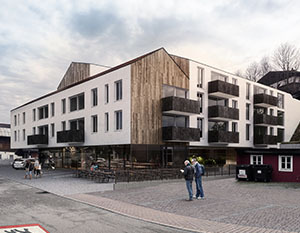 56 brand new apartments are being built in a series of houses in the grounds of the old Landhaus Sita. We are currently in the build phase and buyers can visit the site to get a first-hand impression of the spectacular all-round views of the mountains. Please note that when you purchase an apartment in one of our developments, it is possible for the developer to bridge the VAT payment for you so you only ever pay the net price. 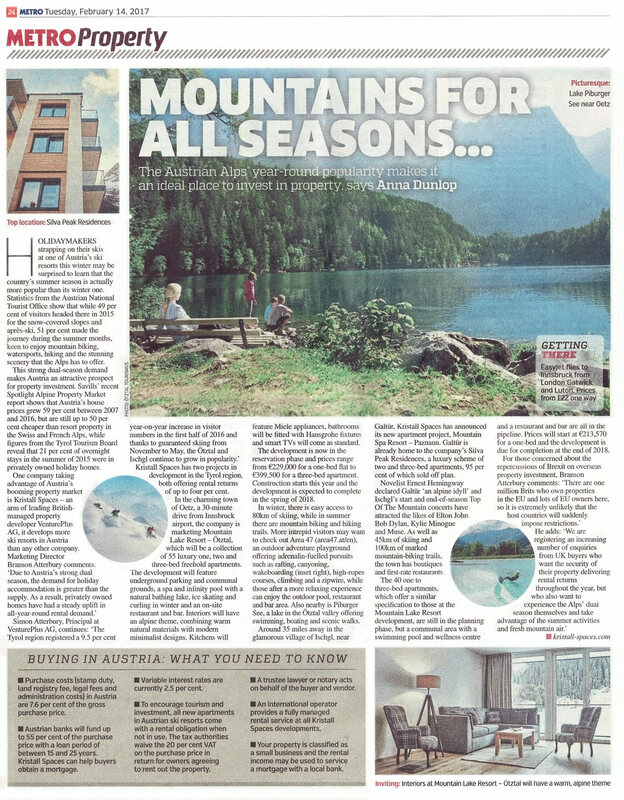 The interior themes have an alpine feel but with a choice of either a modern, traditional or lifestyle theme, combining warm natural materials with modern minimalist designs. Standard features include wireless LAN, intercom access, triple-glazed floor to ceiling German windows, Italian ceramics and Hans Grohe bathroom fittings. 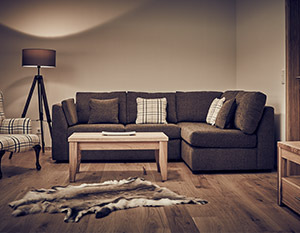 There is flexible living accommodation to maximise space – with excellent sofa beds in the living room and two bathrooms to ensure maximum privacy. 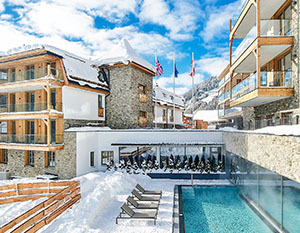 As you would see in the best hotels, there are Austrian wood furnishings and doors and traditional parquet floors with under-floor heating throughout. 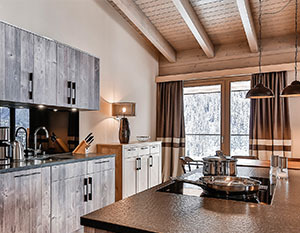 Miele kitchens with integrated appliances and flatscreen Smart TVs are also standard. We have thought of everything you could possibly need to make moving into your apartment as smooth as possible including wardrobes, bed linen, curtains, cutlery and crockery. 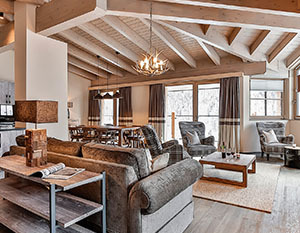 The interiors and furnishings are hotel standard and designed to last and withstand extensive rental use. In our experience, furniture does not need replacing for a long time – at least 10 years based on our previous development projects. The type of clientèle that rent these apartments are respectable families and professionals and the operator will check for small damage and breakages whilst building and contents insurance cover any other issues. The location is blessed with spectacular views in all directions and it is genuinely difficult to decide which one is superior! To the North, owners will look over to the village and the ancient Church of Heiliger Georg with the road leading up to Hochoetz and Kühtai. The view continues down the valley towards Sautens and even further into the distance. 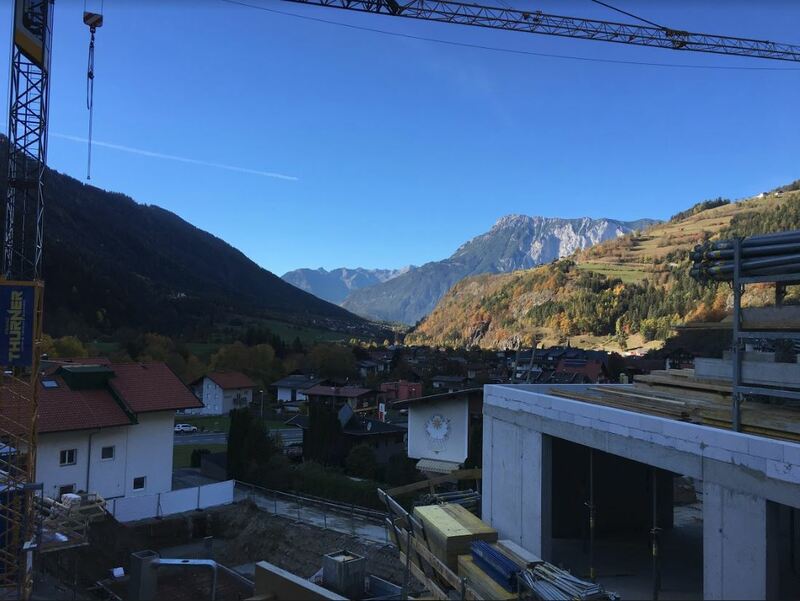 Image below is the general view towards the North West – photo taken from Acherkogelbahn near the site. Looking to the East, the view follows the Acherkogelbahn up the mountain towards Hochoetz. 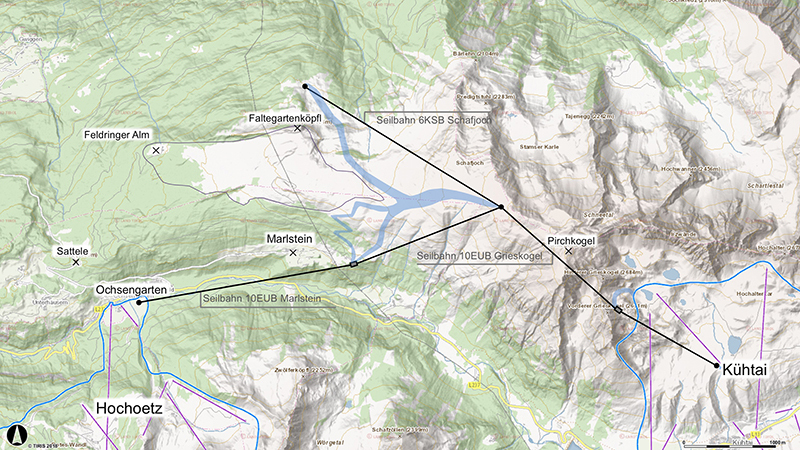 The Acherkogel is the tallest peak in the photo – 3,0007 metres. 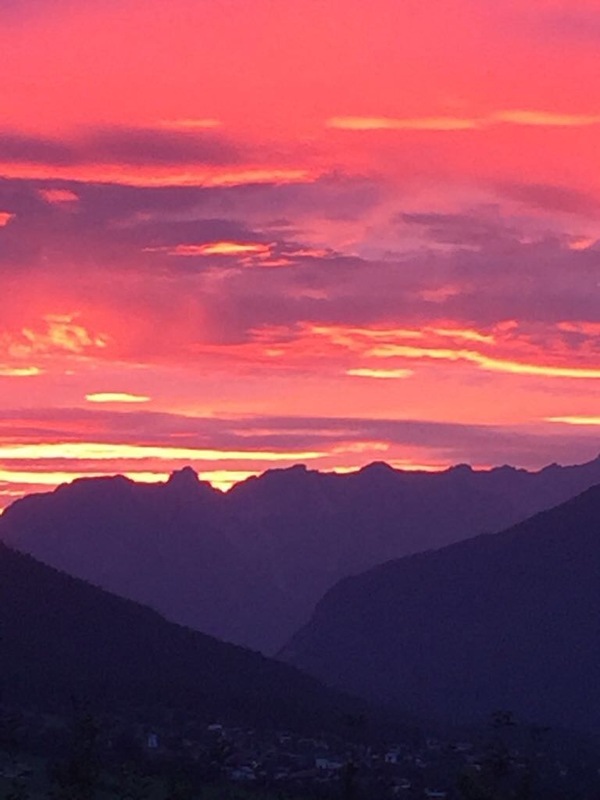 It’s wonderful when the sun rises over the ridge. 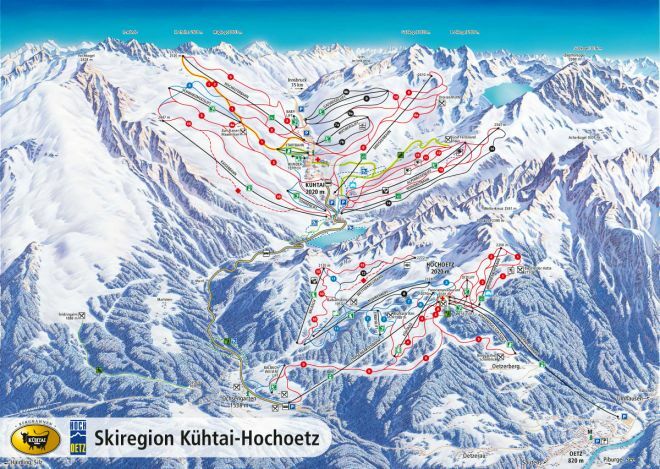 In the image below, you can see the Acherkogelbahn heading up the mountain – imagine this view from the bottom. 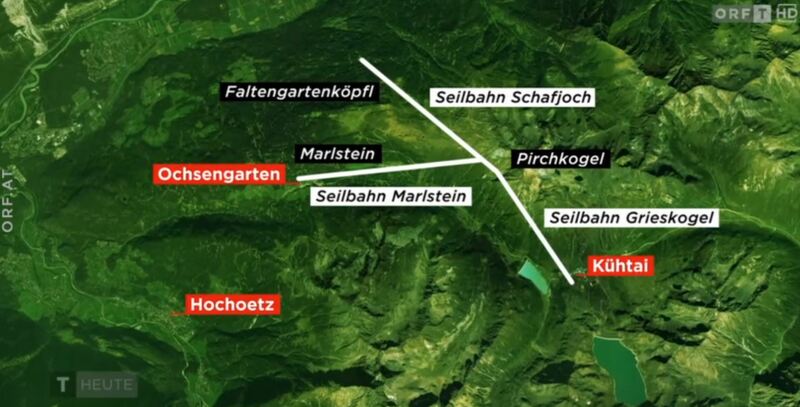 For the East and South views, owners will be able to see the Acherkogel at 3,007m (the highest peak in Oetz). 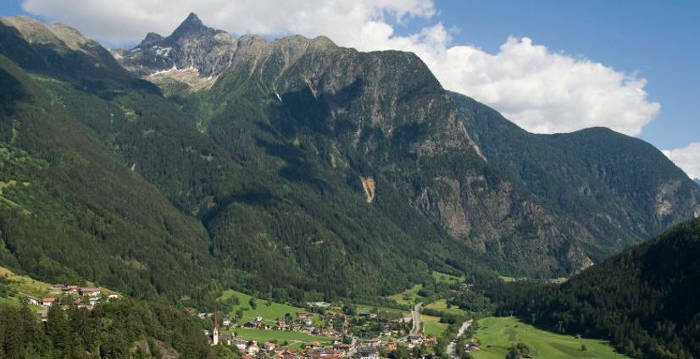 To the South, the road continues to climb up through the mountain peaks on both sides towards Sölden. Below is the view to the South. 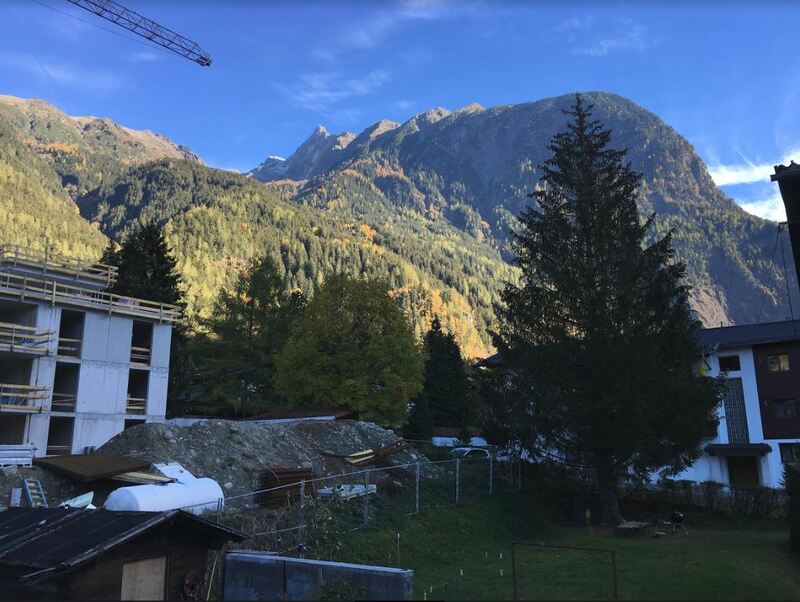 Finally to the West: the apartments look down and across the valley and the Ötztaler Ache towards the Piburgersee (hidden by the ancient rock slide which is now a small hill) and the Erster Karkopf (2,607m) in the background. Ötz caters especially well for families with a supervised nursery for toddlers over 2 and a special children’s theatre. 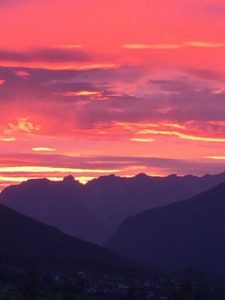 There are 4 ski schools operating in three children’s areas with WIDI the resort mascot on-hand to keep your children entertained and allow you to go off and in the knowledge they are being well looked after by highly professional and bi-lingual staff. The resort regularly features in international customer surveys for overall satisfaction and value for money and rate of repeat visits is high. For uncontrolled excitement then head to the world-famous Area 47, best described as where water and Austrian high-tech ingenuity produce extraordinary adrenaline-based pursuits for thrill seekers. 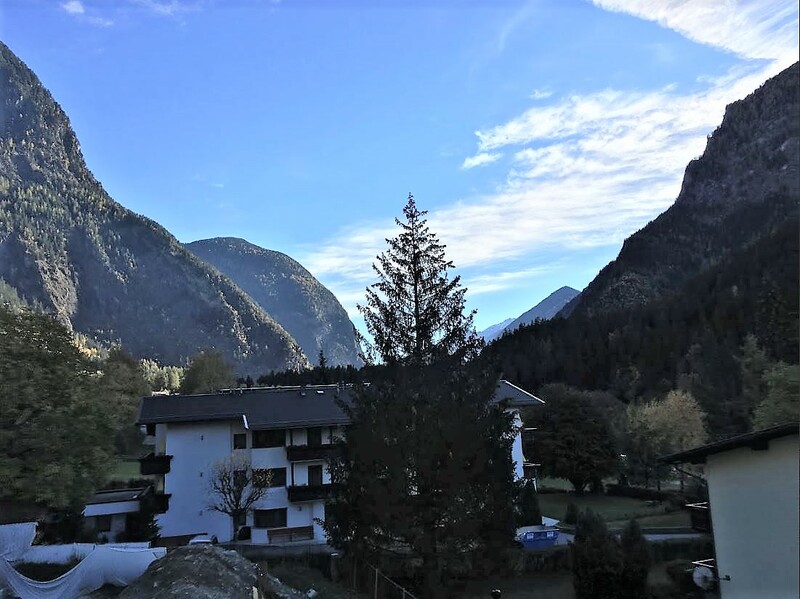 For a more sedate afternoon visit the Aqua Dome in Längenfeld (15 minutes by car or bus), a thermal spa surrounded by the Ötztal mountains with healing thermal waters coming from deep inside the Earth. Lastly, there is the Piburger See on the far side of the Ötztaler Ache: this is one of Austria’s most scenic spots and a favourite of locals and those in the know. A natural lake formed in the last Ice Age by a giant rockslide, today it provides a swimming lake for all the family with summer water temperatures matching the Mediterranean. Relax and enjoy a picnic or each freshly griddled trout caught from the waters which are virtually drinking water quality. 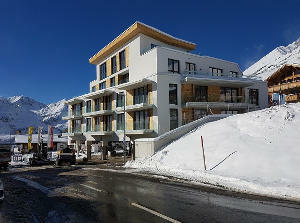 Oetz is a dual season resort and apartment owners can use their apartment in the winter and summer seasons via the booking system. The Owner should book their chosen dates in advance to guarantee vacancy of the apartment. Additional last-minute visits are also possible if the apartment is available – during such periods the owner will be excluded from the rental pool and a small booking fee for administration will apply. To ensure that the apartment is not being used as a leisure residence but operated professionally, the tax authorities expect to see a profit generated at the end of a 20 year period. The tax consultant will draft a rental projection for your apartment including the running and finance costs. This prognosis will show a return over 20 years and demonstrate that the apartment is being run professionally as a successful going concern, and not as a hobby. 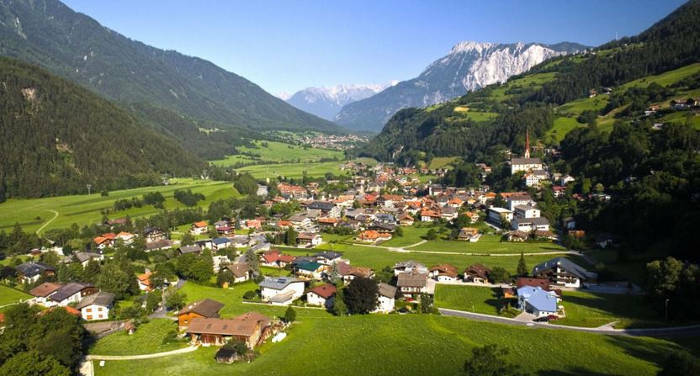 Purchase costs for buying a property in Austria are 7.6% of the gross purchase price. Kristall Spaces can help you obtain a mortgage. Austrian banks will fund up to 55% of the purchase price with a loan period between 15 and 25 years. Variable interest rates are currently 2.5%. 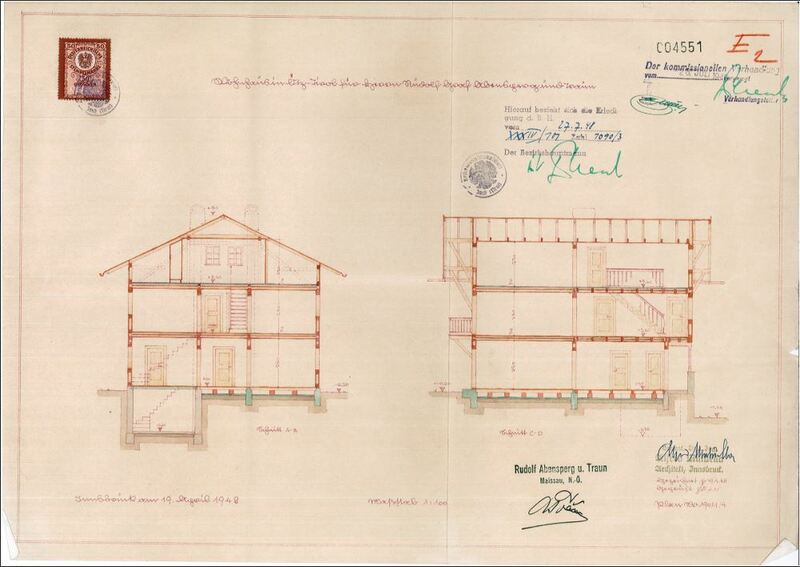 Buying off-plan means you pay for your apartment in stages. The trustee will notify you in good time when each stage payment is due so you have time to prepare the transfer of funds – no need to transfer all at once. Brochures and floor plans are available for download so please contact us today to reserve your apartment.